NAMICS H9890-6A has the highest thermal conductivity of any die attach epoxy paste we carry. This material has been developed to replace Diemat 6030 series epoxy and eutectic solder attachment processes. H9890-6A works well with high volume automated dispensing systems. The cure schedule is critical for performance. Please see the data sheet for details. 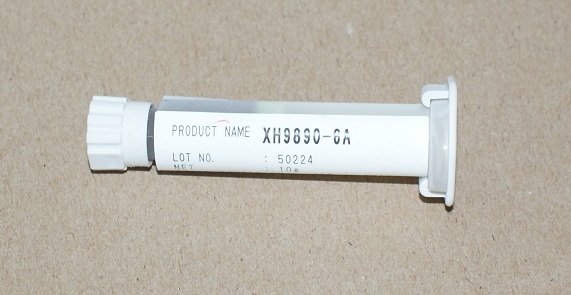 H9890-6A comes in 5cc syringes and ships on dry ice. It should be stored at -40c. Ships today if ordered by 2:00 pm. Brief Description of Need - Please include quantity. If you have not received a response within 4 hours, please give us a call.